Manduka is probably one of the most responsible and reliable yoga mats and clothing manufacturers in the world at the moment. They have become quite popular especially due to the fact that they have an incredibly eco friendly manufacturing process and always use natural, non toxic materials when making their products. The brand is absolutely fantastic, especially for those who are concerned with the environment and want to promote a healthy way of living as part of the environment. Any Manduka pro review or any other reference to their products is basically a reminder of how much they are doing for the environment. 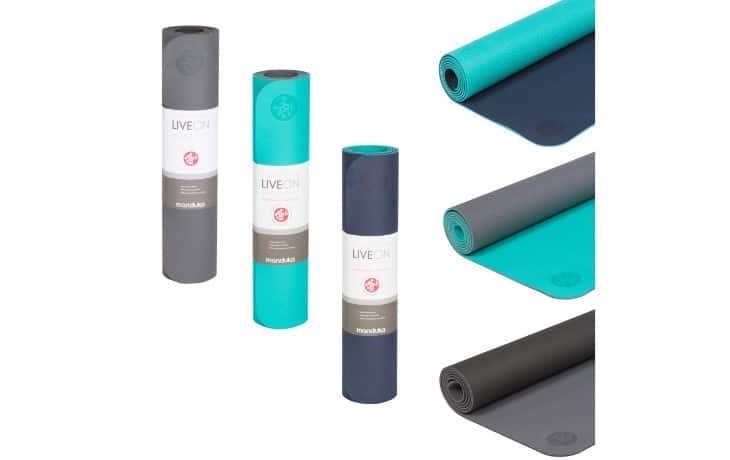 This Manduka liveon review has a main purpose of presenting this particular product, but is also focused on giving readers crucial details regarding the purchasing process of a new yoga mat. Yoga mats are probably one of the most popular and highly used yoga accessories and equipment. There is no doubt that there are plenty of manufacturers, brands and different types of models available on the market at the moment but it is equally true that not all these products are the same and that some are far better than the others. Here are a few features you might want to consider when making your next yoga mat purchase. 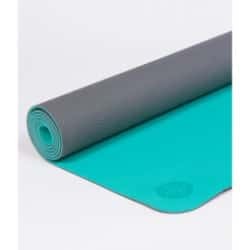 Many people do not take this into account, but one of the features that make the difference between an average yoga mat and a great one is the material it is made of. And since we are talking about materials, you should know that there are brands concerned with using non toxic, safe materials such as Manduka. On top of that, you need to check and see if the material soaks up all the sweat, dirt and bacteria or if it keeps them at bay. 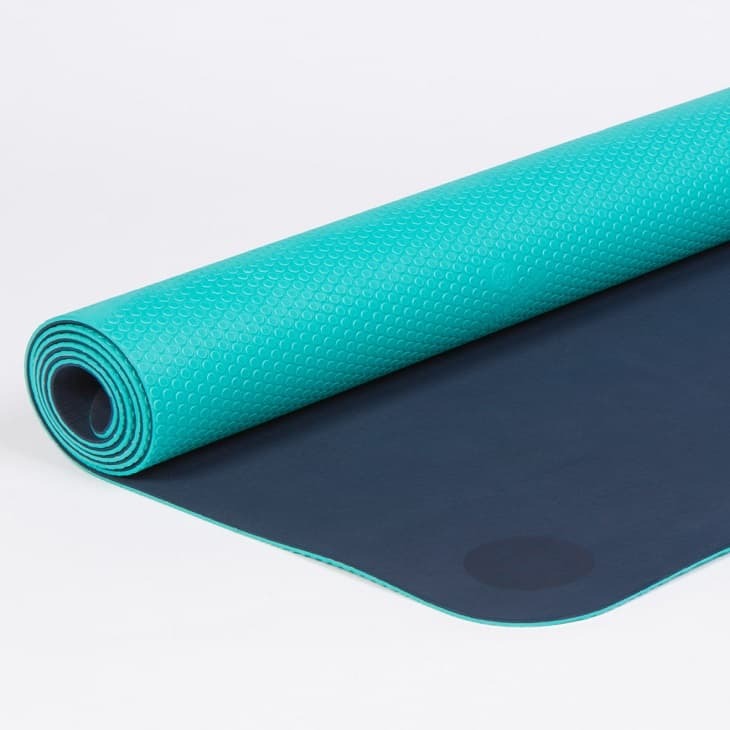 A yoga mat that does not soak up all the bacteria from the environment is obviously a lot easier to clean and a lot healthier, whereas a yoga mat that is absorbent will undoubtedly become a health hazard at some point if not cleaned properly. One other very important feature that yoga mats have is lightness. Even if you are not that much of a big traveler, being able to carry the mat around with you is highly important. The mat should not only be light, but easy to carry as well. It should easily fit in a yoga mat bag or in some sort of a pouch in order to make things a lot easier for you. Every manduka liveon mat review will focus on just how environmentally friendly the product is. Indeed, the manufacturer has made sure to have a zero waste manufacturing process and to use earth - friendly alternatives to chemical laden foams, such as sustainable plus foam. However, the product has many other important feature. For instance, it has a closed cell surface which is meant to prevent microbes, moisture and bacteria from getting absorbed into the mat. This consequently makes the yoga mat very easy to clean and very safe to use even for kids. On top of that, the mat is also incredibly light and really easy to carry around, regardless if you are going to yoga class or travelling. The material that this yoga mat is made with is a clear advantage. The closed cell surface is an undeniably desirable feature that makes the mat not only sanitary, but also safe to use by anyone. On top of that, the manufacturing process is another positive aspect and the zero waste feature is certainly appealing to environmentalists worldwide. Although this product is unbelievably amazing for so many different reasons, it also has one drawback. Although no Manduka liveon yoga mat review mentions this, the fact that it is light and easy to carry around has also impacted its thickness. This, in turn has resulted in a thinner mat that does not provide the yogi with the right support and protection for his joints. Of course, people who are not suffering from sore joints can still safely use the mat, but it might not be indicated for those of you with arthritis or other similar problems. 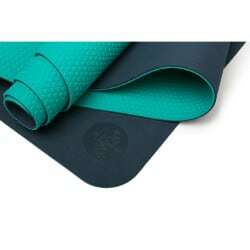 All in all, the Manduka liveon plusfoam yoga mat is a highly superior product which has considerably more positive features than negative ones. Any Manduka liveon review will praise the product and recommend it to anyone passionate about yoga and concerned about the environment, which is exactly what we also recommend!